Anyone know how much jersey usually are sold at games for? 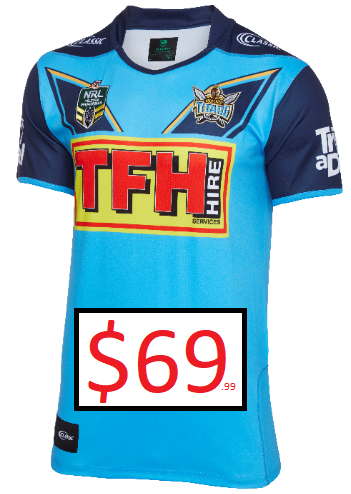 Also has anyone actually bought a home jersey this year and is it crappy quality? Not sure on the quality. But usually they are the same price as the online store but you can use a members discount (I think). Can I also say, sadly our club has an earned reputation for **** jerseys. But one thing we do well is our Indigenous jersey. This one is beautiful. A boomerang for a chevron. And a very subtle helmet, using the dark blue in the middle. I think I will have to get this one. Even the back looks good. An uses our under utilised 'sand' colour. 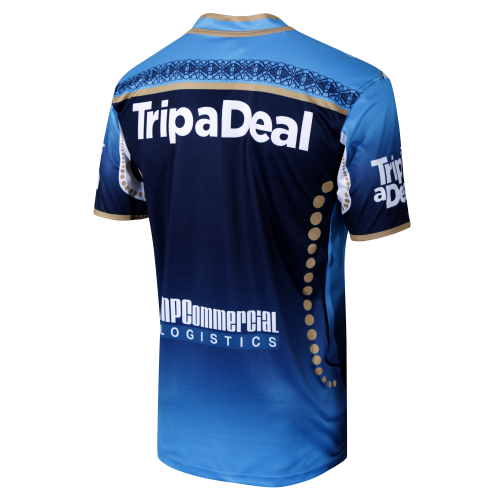 The TFH Gold Coast Titans are proud to release the 2018 Indigenous Jersey. 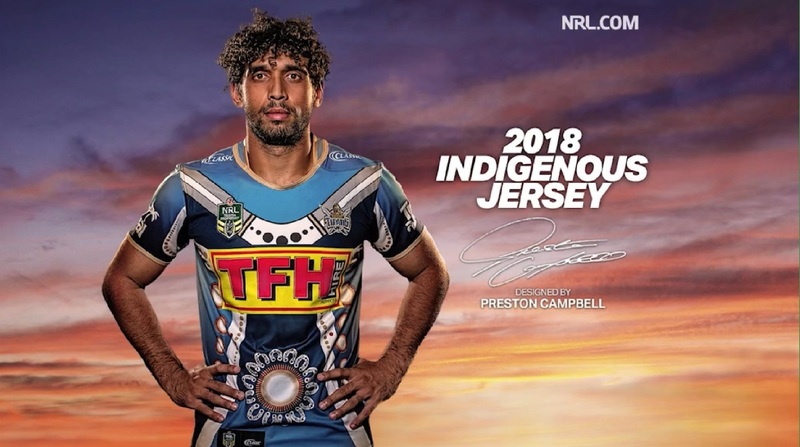 "The meaning around it is 'representation', it's about personally who you represent, whether you represent yourself, representing your family, obviously the Titans being a Rugby league team, representing your team and I think for a lot of people, not just indigenous people, you like to think that you are representing anything with decency," Campbell said. 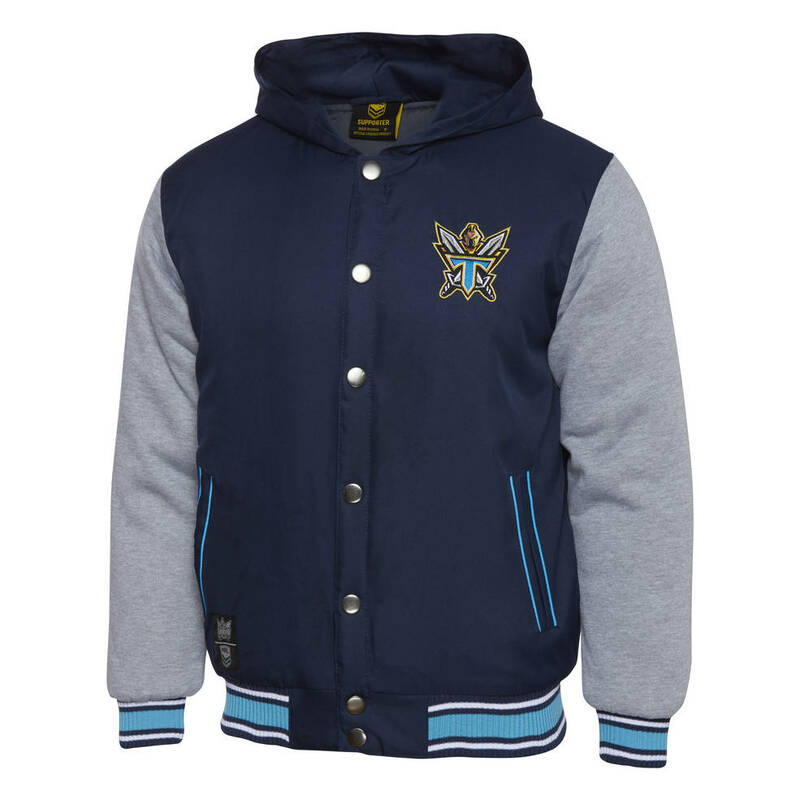 It's the jersey the TFH Gold Coast Titans players hold in the highest regard. For Captain Ryan James, it's a combination of two extremely powerful influences, the proud Indigenous player set to lead the team out in a jersey designed by one of the biggest influences in his life. "It's great, obviously Presto is a legend of the club, he was here in the early days and went away to Penrith and the Sharks and came back to the club and really set a platform for the integrity that the club has and the community work that it does and being an indigenous player myself and watching what Preston has done in the community it's great to have a jersey designed by Preston." Campbell was the very first player signed by the Gold Coast Titans ahead of their debut season in 2007.... And while the pint-sized Premiership and Dally M winning NRL star proved invaluable on-field during his 103 games for the Titans. It was off it, where Preston established himself as one of Rugby League's most influential and respected community figures. "I love rugby league but the Gold Coast, this is where I started and where I finished so there is always going to be some sort of soft spot for the Gold Coast in my heart but to be able to design the jersey is an extra privilege. "It's something that I believe in really and the boys get to showcase that and hopefully I can get to share the message, what it means and hopefully the boys can carry on that message." James who admits he is still developing his leadership style, has continued to stay in close contact with Campbell, saying he has been a steadying influence on and off the field. "It's great, Presto is very community based and the circle down the bottom is community and I have seen first-hand going out to remote places with him like Tingha and Mornington Island and the impact he has had on communities is massive. "The impact he has had on the game and the indigenous culture is massive so he's included that in the jersey and the little things around it is just us as a team and it's just people from here, there and everywhere buying into our culture and once they come to the Gold Coast they are part of us." For the past three years, Preston has crafted a jersey with special meaning for the Titans players... for a courageous athlete who played well above his weight and continues to do so much for community. "Rugby League is one of those games where you put this jersey on and you are just like the person that's standing right next to you, you don't have to be a university graduate, you don't have to be a farmer, you can be anyone from anywhere and it doesn't matter what colour skin that you have. "You put that jersey on and you are a team member, and that's an amazing way to bring people together and get them involved in something that we all associate with and that we love. "We kept it as simple as possible, but when we can think about what we represent and who we represent and why, I think that's pretty powerful"
James matured as a Rugby League player under the guidance of Campbell and is determined to ensure those values are protected and passed on during his time in a Titans jersey. "He's just a club legend and he's done so much for the club and he means a lot to me and my family and he's certainly helped me grow as a player and a person and to get to wear this this weekend it really does mean a lot." Heads up guys, Peter Wynn score has the 2018 home jerseys for sale for $69 minus delivery. Limited stock available on their website. 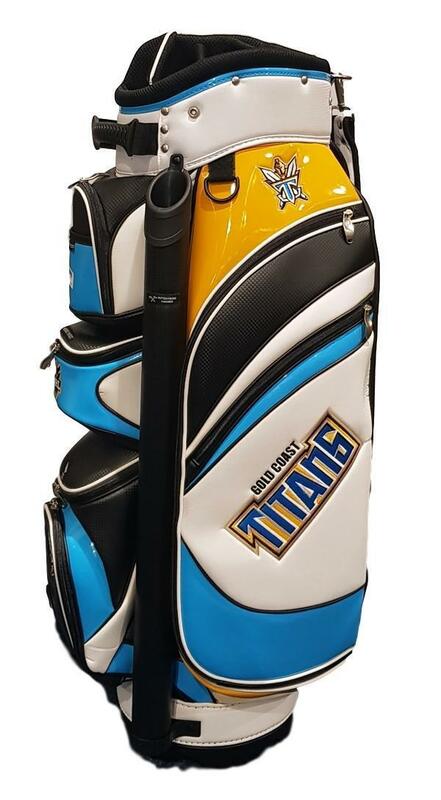 Saw some Titans golf bags on ebay. 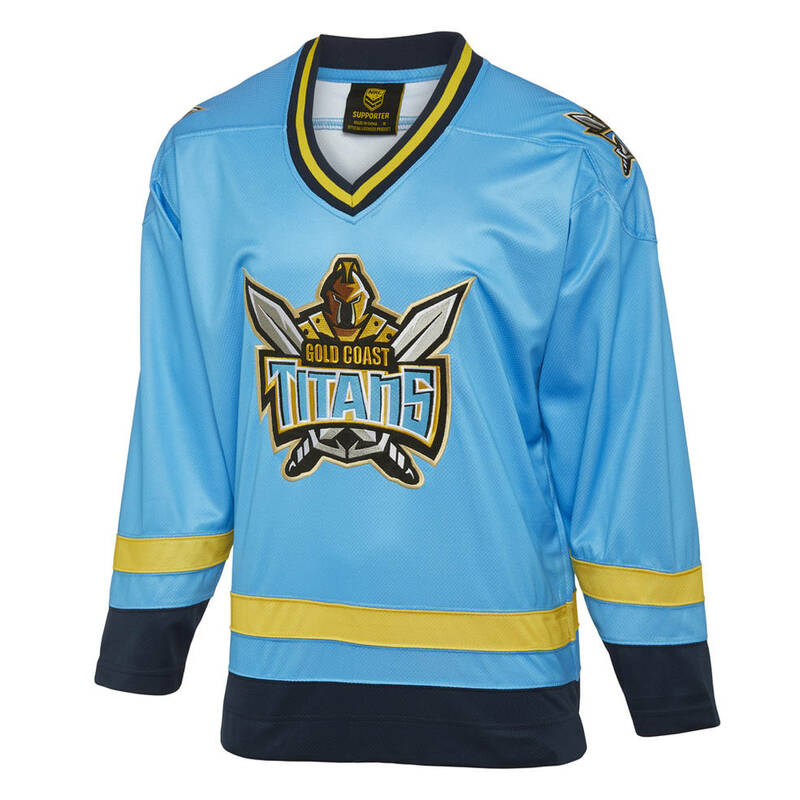 All 2018 Titans jerseys now $79.50 for mens. I'm thinking of getting a Members polo. The media polos have the disadvantage of being covered with sponsors which makes the places you can wear it a bit more limited. Best members polo for years ... I’m ordering too. 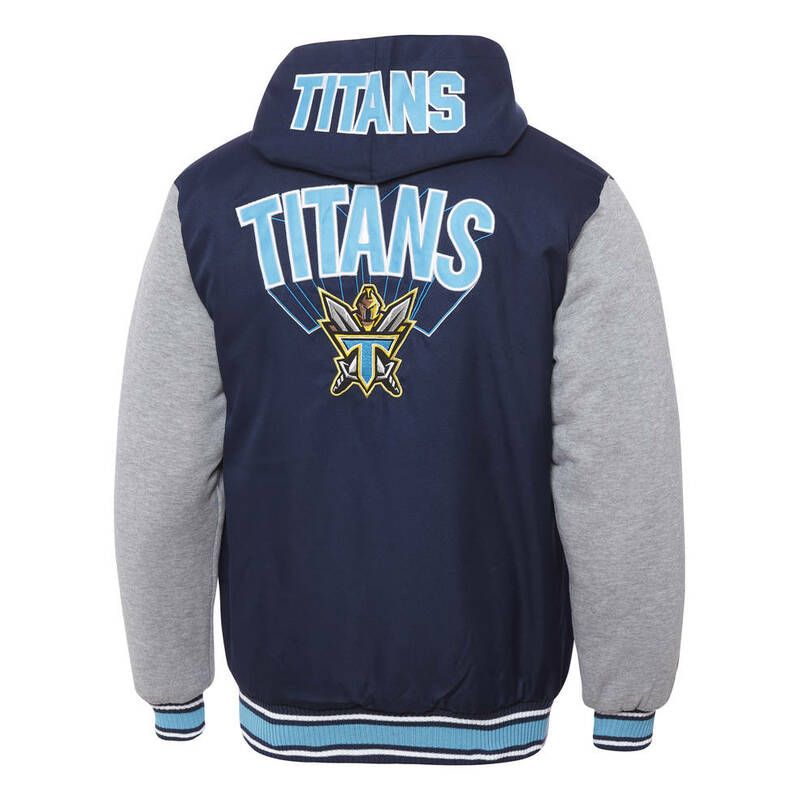 I just ordered the Titans bomber jacket.